So as I write this, South Florida is bracing for Hurricane Matthew. It looks like it will hit north of where I live in Miami, but could still experience power outages, flooding and some damage. 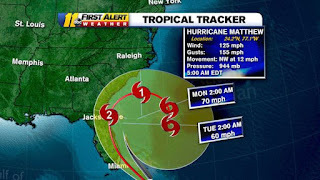 The worst thing is, some of the forecast models have the storm making a loop and coming BACK to Florida next week!!! I don’t think I can handle this storm prep again…not to mention the possibility of another landfall. I lived through Hurricane Andrew many years ago. I had just graduated from college and I was living with my parents on Brickell Avenue, which has a lot of high rises and condos. We had to leave and ended up staying with friends further west. The storm ended up coming in south of us and the devastation was incredible. Destruction everywhere. After the storm my family tried to drive back to the condo to check things out. Trees were down, debris everywhere, street signs gone, traffic light missing. It was hard to even tell where we were. At one point we realized we had left the road and were driving in the middle of a golf course. The recovery from that storm went on for months. While the threat is real and possible damage nothing to laugh, there is humor during these times. Seeing the news coverage reminds me of how really stupid some of the reporting gets. The news channels down here live for these storms. We don’t get a lot of wild weather. Most of the forecasts consist of “Partly sunny with storms in the afternoon.” It’s pretty boring. A tropical storm or hurricane is exciting. It gives them something to talk about endlessly. Probably the most entertaining thing about a storm are the ill-fated reporters who are assigned the duty of standing outside so they can tell us that, yes in fact, it is raining and the wind is blowing…HARD! I think we can hear that is pouring and that the wind is roaring, thank you. Still, they like to do it for the drama. Here are some examples of the stupidity for your pleasure. But seriously, this hurricane is no joke. When this blog posts, hopefully the storm will be out of here and will NOT BE COMING BACK. Also be praying for those in the South Carolina where the storm could head after Florida. 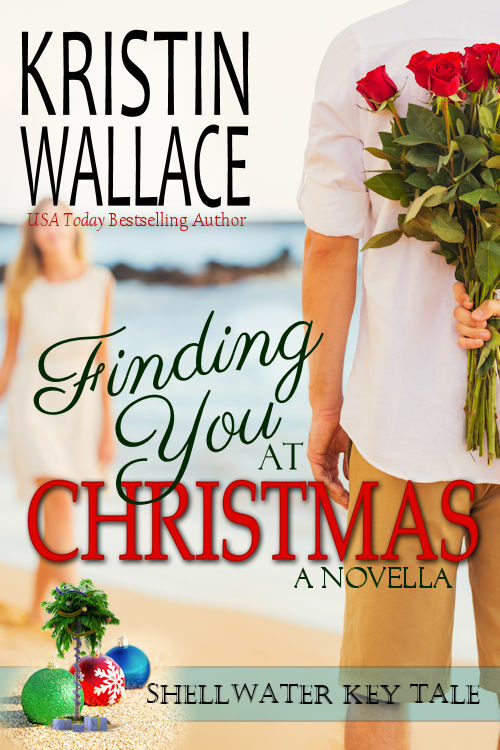 Kristin Wallace is the USA Today Best Selling Author of inspirational and contemporary romance, and women’s fiction filled with “Love, Laughter and a Leap of Faith”. Check out her latest release, Sweet Christmas Kisses 3, a box set with 17 holiday romances for 99 cents. (Which just happened to hit the USA TODAY bestseller list this week!!!!) Kristin’s contribution is FALLING FOR YOU AT CHRISTMAS, part of the Shellwater Key Tales series. For more info visit her website at Kristin Wallace Author. 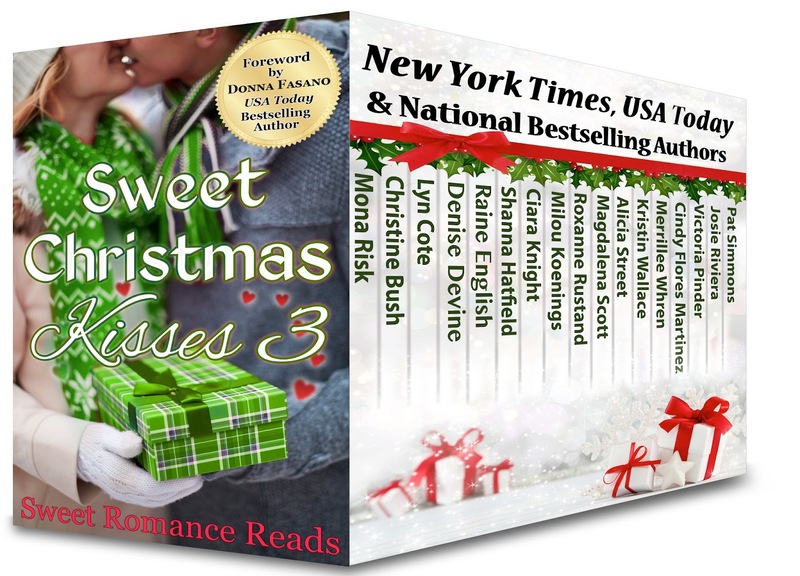 If you haven’t gotten your box set, here are the handy buy links, AND for a limited time you can also get Sweet Christmas Kisses 1 & 2 for only 99 cents. Kristin, so glad you are safe. The storm was headed to SC where I live (close to Charlotte, NC) but fortunately things have been relatively quiet here. Thanks for sharing. Glad you are fine. I've been checking northern FL where we used to live.